Reddit user AnonTheNine has a track record for getting things right when it comes to leaking future Destiny content. He’s made some claims in the past that people have brushed off as bizarre or not possible, but ended up coming true. That’s why he got the Destiny Reddit community’s attention recently when he started posting small teasers about Destiny 3. AnonTheNine suggests that Guardians will begin using the powers of Darkness, something that’s been hinted at a lot in recent narrative within Destiny 2: Forsaken. All current Guardian powers come from the Light, so this is a big shift. They also say that the overworld areas will be PvPvE, leaning more heavily into the ideas that Gambit had as they pit players versus enemies of humanity and each other. “I’ve never said it would be like that joke that the Dark Zone [from The Division] is. Never. Think more about it like fight for a territory, where PvP its there for a reason and not for griefing the heck out of people.” They also claim that we’ll be headed to Europa, a moon of Jupiter, in the sequel. These leaks also suggest a few more facts. With development beginning this late, there’s a good chance that Bungie is targeting a Destiny 3 release on next-generation consoles. The same leaker expects a PS5 announcement in 2019, and depending on the length and intensity of Bungie’s development on D3, we could see Destiny 3 at the new hardware’s launch or shortly after. Of course, this is all supposition with none of it confirmed. AnonTheNine also says that developers change their minds on things all the time, and while this is the information they are aware of right now, some things are subject to change. That also means that fall 2019 won’t hold a brand new Destiny game. Instead, it looks like we may be getting another Forsaken-sized expansion to start out Year 3, with another Annual Pass for the content to follow into 2020. It makes sense though. Given that next-gen consoles are estimated to be a 2020 release, releasing a brand new ambitious Destiny game right at the tail end of the current console generation would be severely limiting. 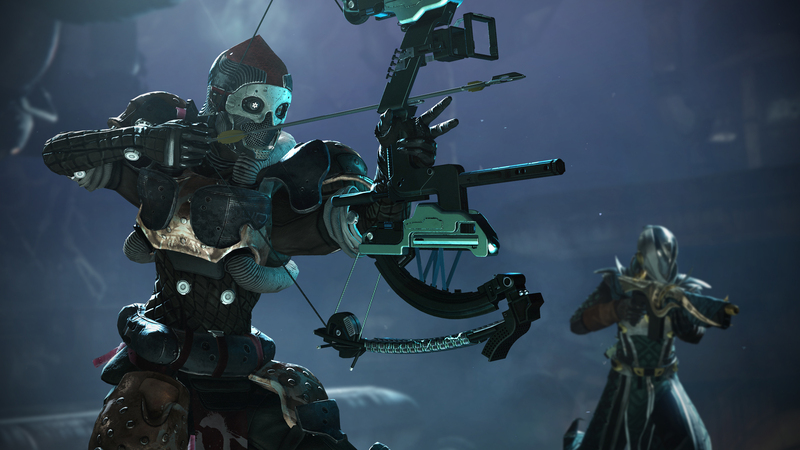 Launching on next-gen consoles will allow Bungie a lot more freedoms to realize the game they truly want to make. What do you think of the Destiny 3 leaks? Is AnonTheNine onto something? Are you happy that we’ll get a little bit more time to fully enjoy Destiny 2 before moving on to another title? Let us know in the comments.